Every day at Force-E we receive emails, phone calls and in-person visits from both locals and vacationers. Divers request information about dive sites, need help fixing their gear, or even ask how the weather forecast will effect diving conditions. Since Force-E opened in 1976, customers have trusted our knowledge and advice. We’re happy to help you in the shop, but our staff are eager to go one step further. 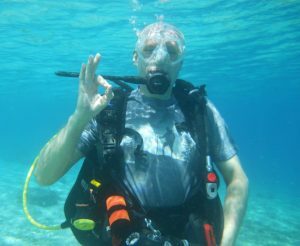 We can join you underwater as a private guide! Whether you are new to the sport or a seasoned diver looking to enhance your experience, there are a number of great reasons to dive with a private guide. All of the Force-E private guides are Dive Masters or Instructors, so they are industry-certified professionals. Dive Masters and Instructors go through extensive education and skills training. As dive professionals, our staff are in the water almost every single day. As a result, they are intimately acquainted with our local sites and year-round conditions. If you are new to SCUBA diving, or diving in South Florida, a private guide adds an extra layer of comfort and security to your plan. Hiring a private guide ensures that you have an experienced buddy who is solely focused on you. Image courtesy of Force-E Instructor Mark Kosarin. Private guides know local sites, boats and crewswell. They help you determine the best boat or shore diving location to fit your style. They offer valuable advice and can help review skills you learned in your open water class. Private guides also ensure you are knowledgeable about the sites you will be visiting. Don't have an underwater camera? 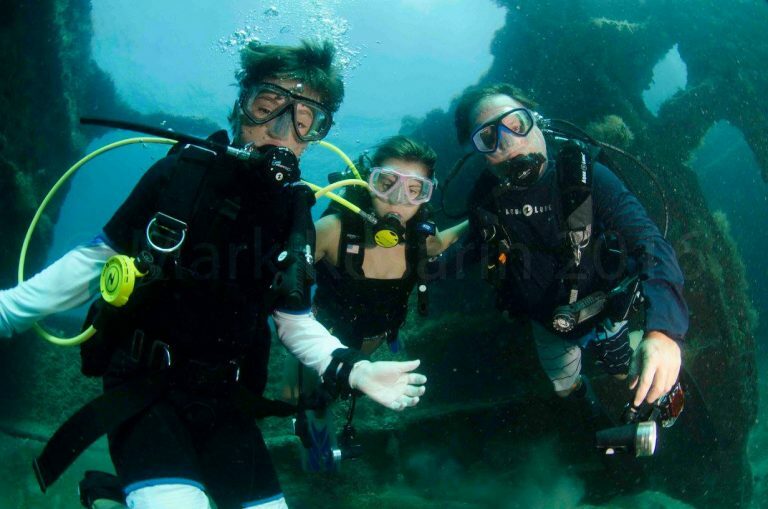 Arrange a Photo Tour and have one of our Photo Pros dive with you and your family. 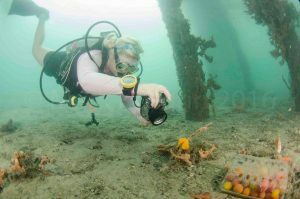 We capture memories as you make them, so you head home with great photos of your dives! Our guides spot animals that you may have missed if you’re not familiar with their camouflage and surroundings. We know when certain animals, like Goliath Grouper, sea turtles, or sharks, are most likely to visit our reefs, and where to find them. As a vacationing diver, you won't always bring a buddy on every adventure. Even if you take initiative and seek out a buddy , you never know who they will be. You could end up paired up with someone whose air consumption shortens your dive time. Your buddy may be a unpracticed diver who has been out of the water for some time. Instead of hoping that you end up diving with a practiced, knowledgeable buddy, arrange a private guide in advance. By hiring a private guide, you can easily eliminate potential complications that could negatively affect your trip. You’ve already put effort, time and money into your dive experience. Before you get in the water, contact us to arrange a private guide and make your next dive awesome!